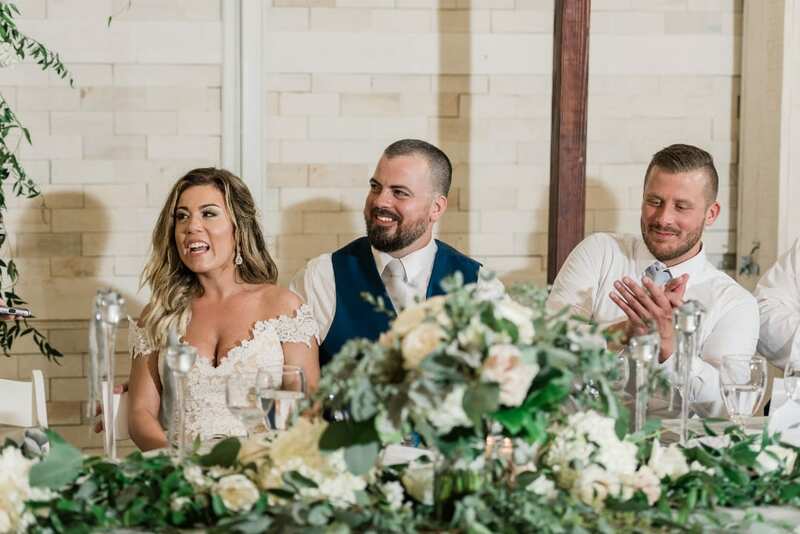 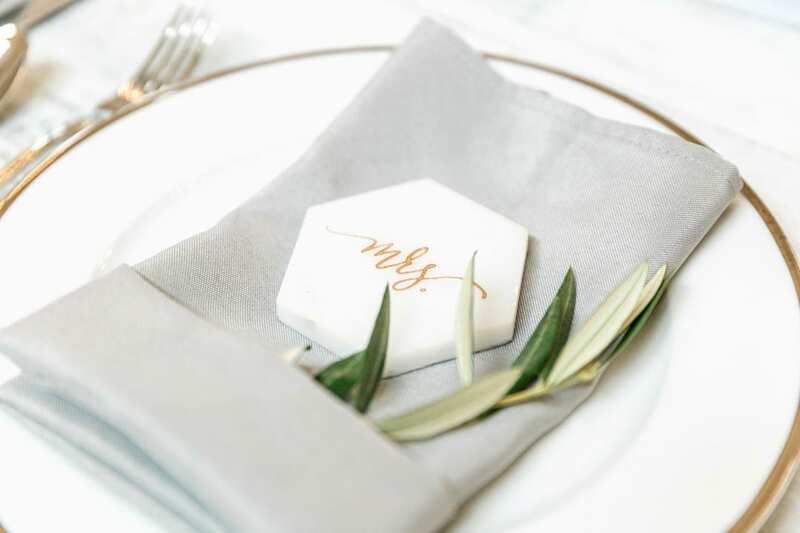 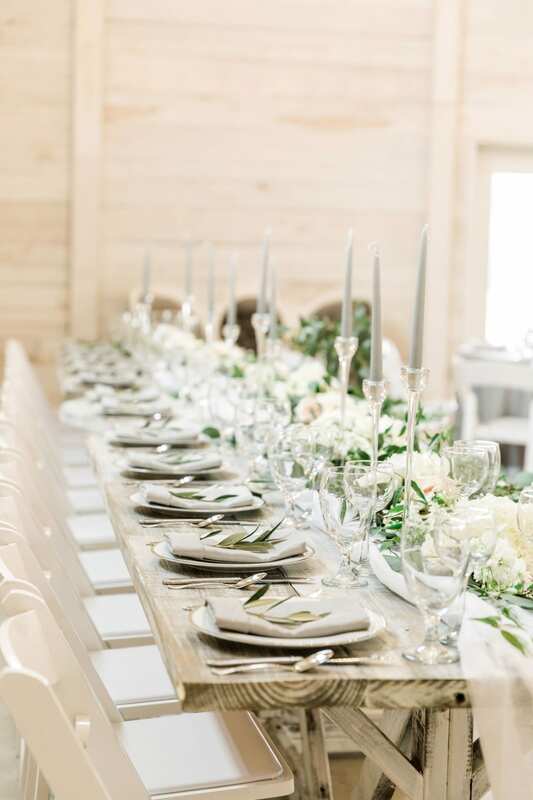 Michelle and Justin’s modern white farmhouse wedding at White Dove Barn was a chic contemporary event mixed with timeless Southern elegance. 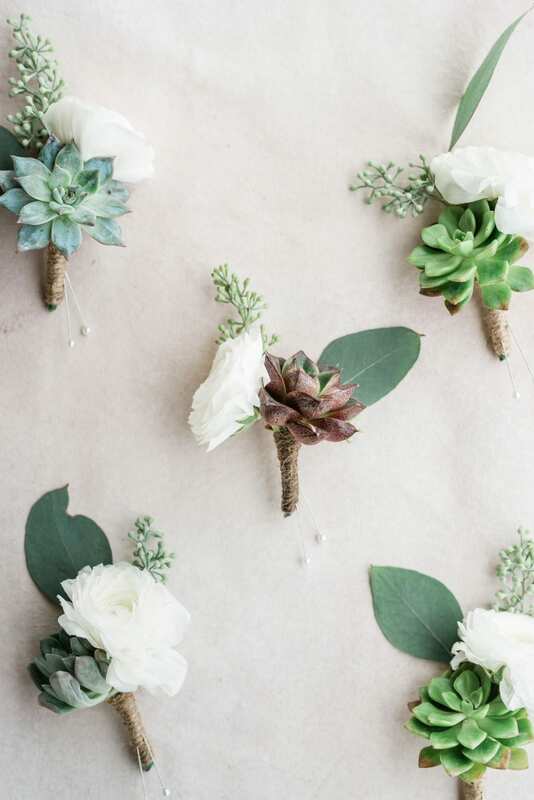 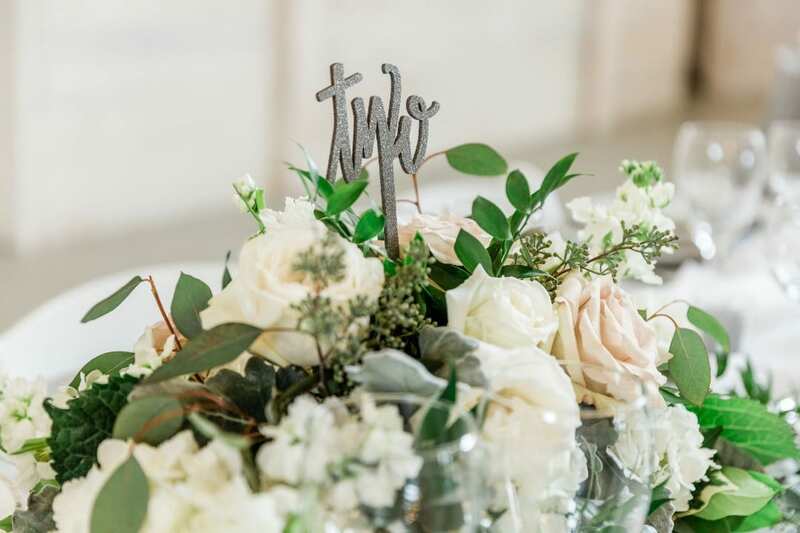 With succulent boutonnieres and classic all ivory florals, this Nashville wedding was a magical event. 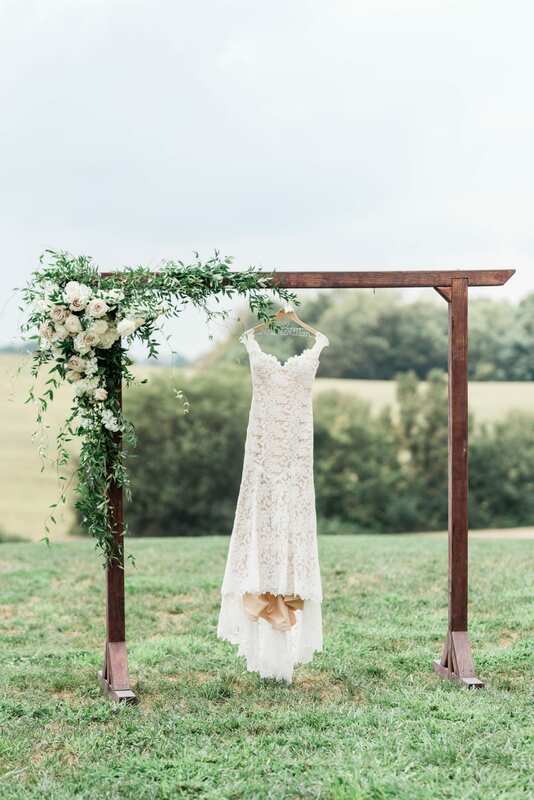 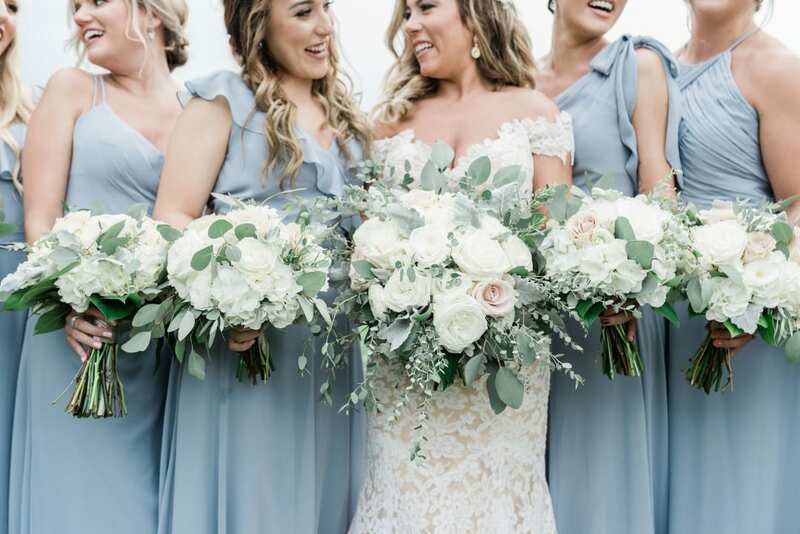 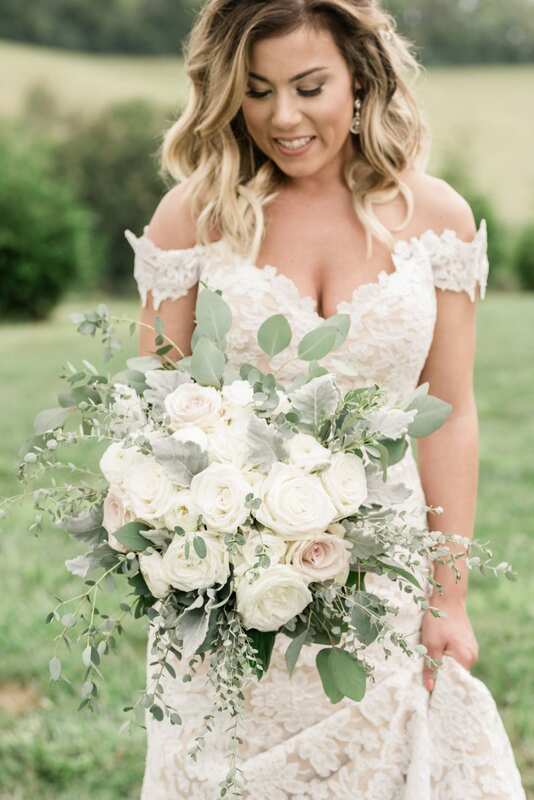 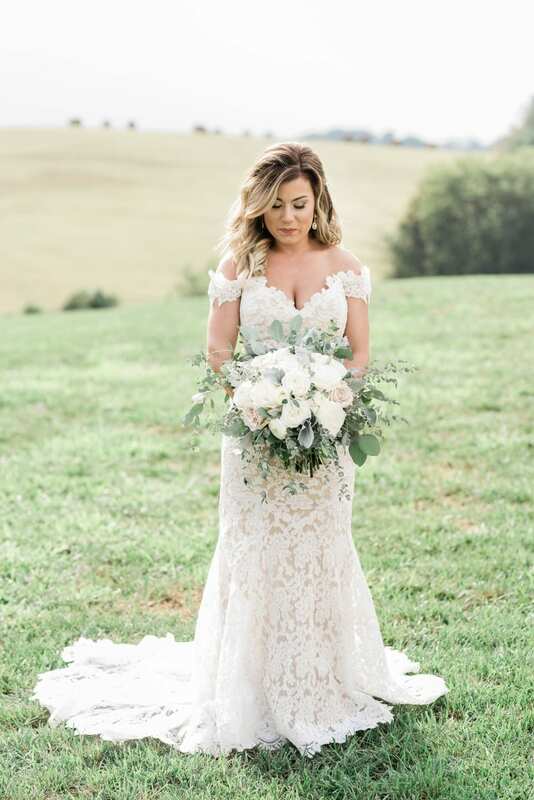 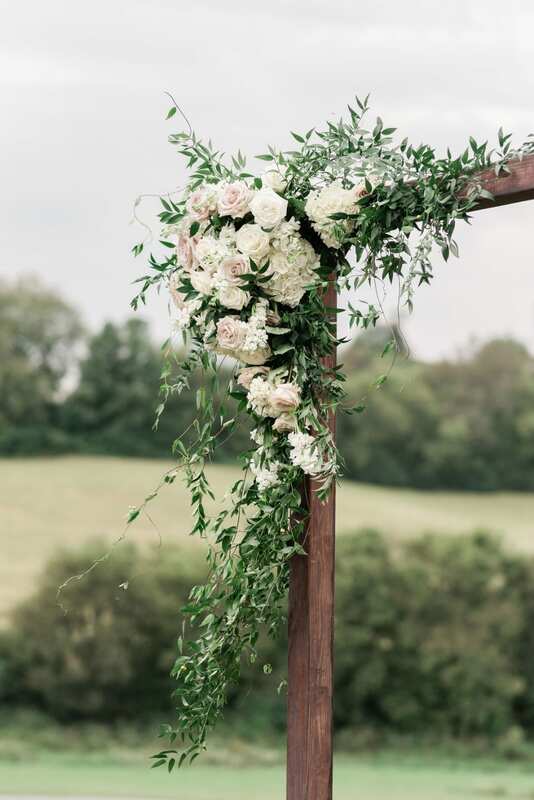 The bride walked down the aisle at her outdoor Nashville wedding carrying overgrown blooms with eucalyptus, greenery and ivory and blush roses. 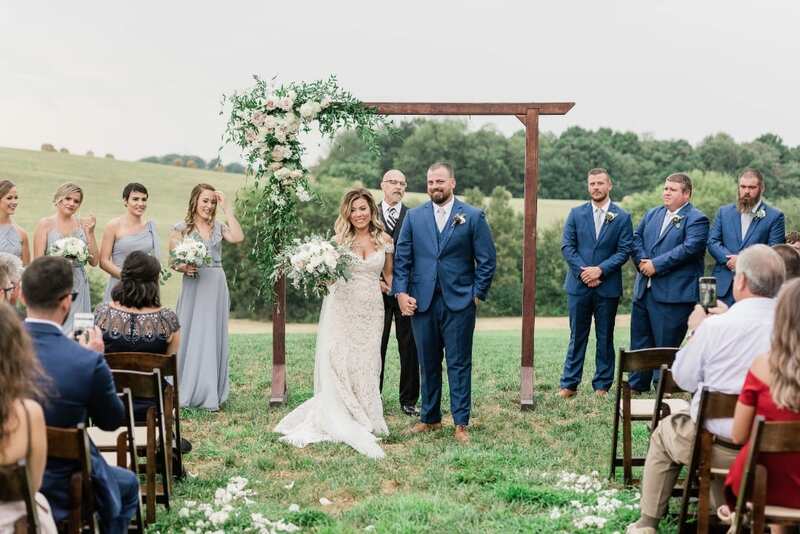 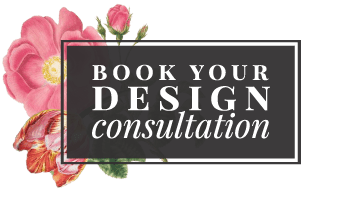 She met her groom under a wooden arch featuring an understated luxe floral design with hydrangeas, roses, and vibrant greenery. 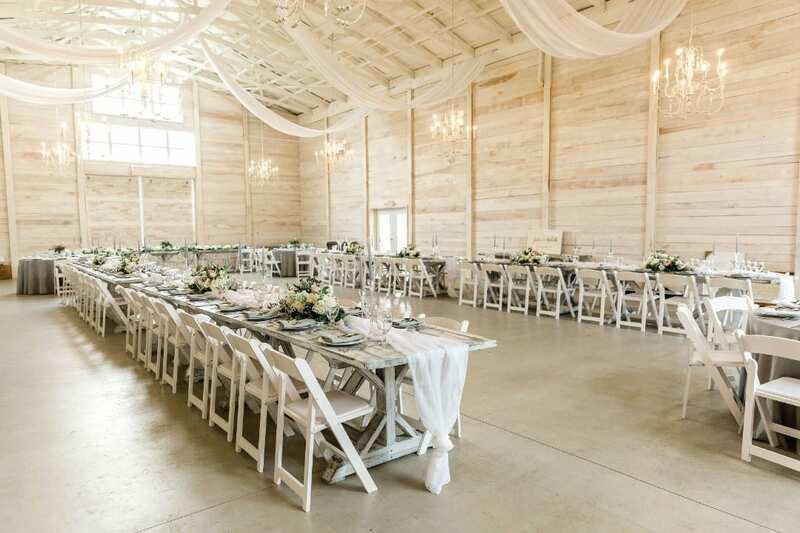 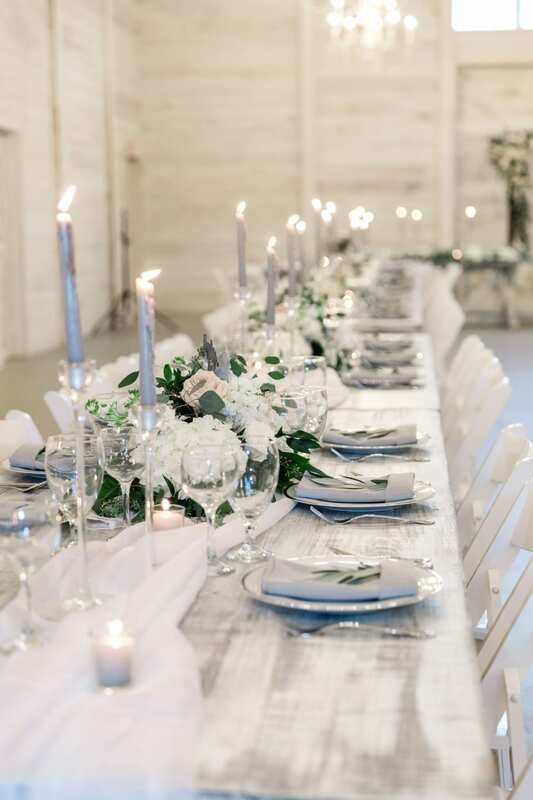 Dinner and dancing were held inside the signature barn where a gray and white color palette made for a romantic setting. 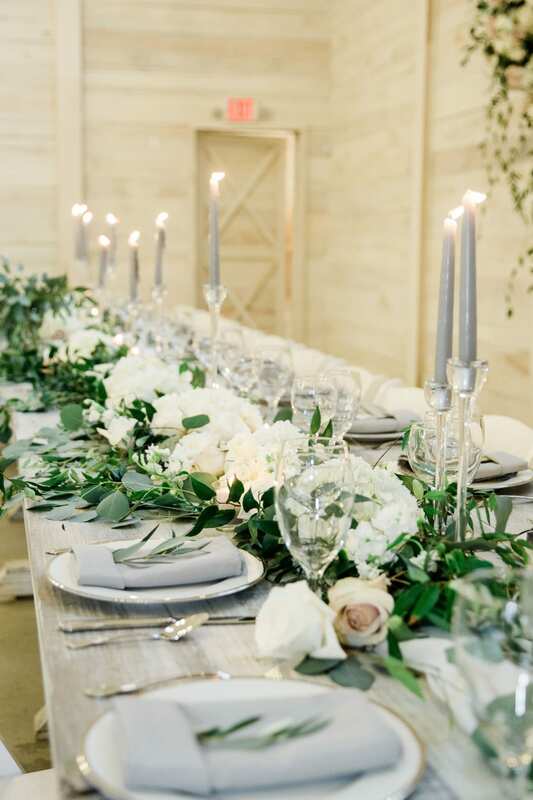 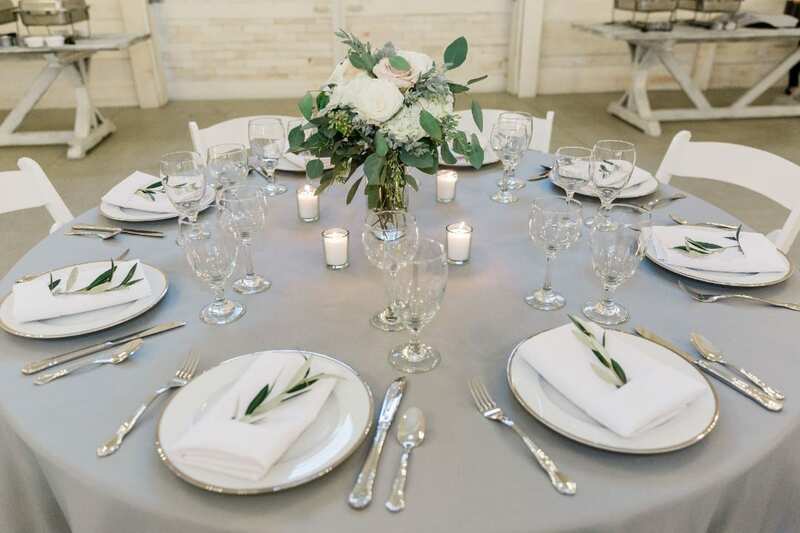 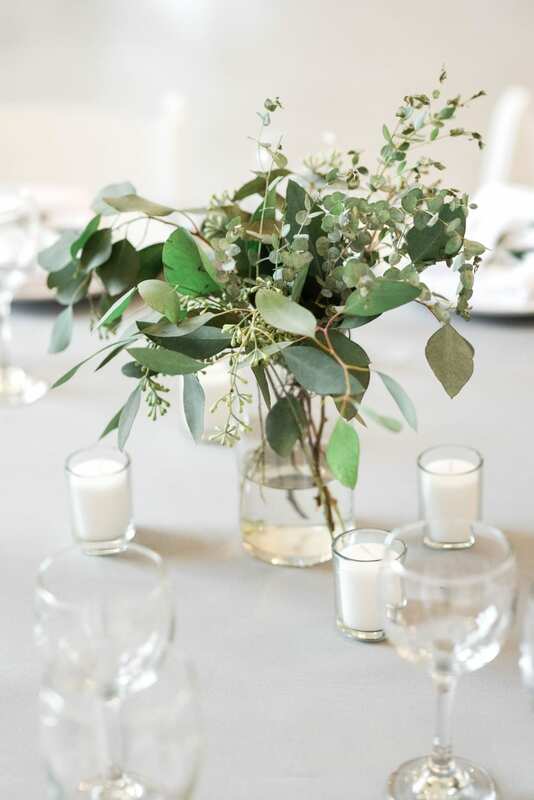 Centerpieces were filled with ivory and blush roses, lamb’s ear, white stock, and hydrangeas while gray taper candles added a romantic ambiance. 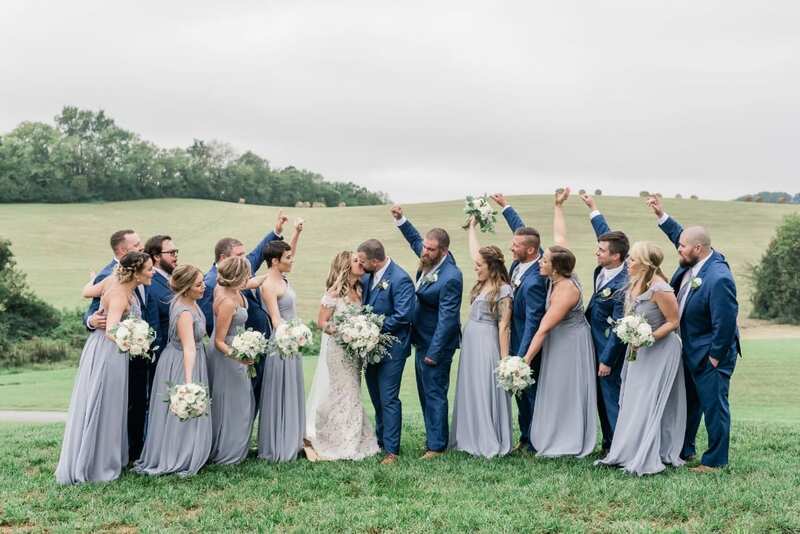 The entire day was captured expertly by the talented Rebecca Denton Photography. 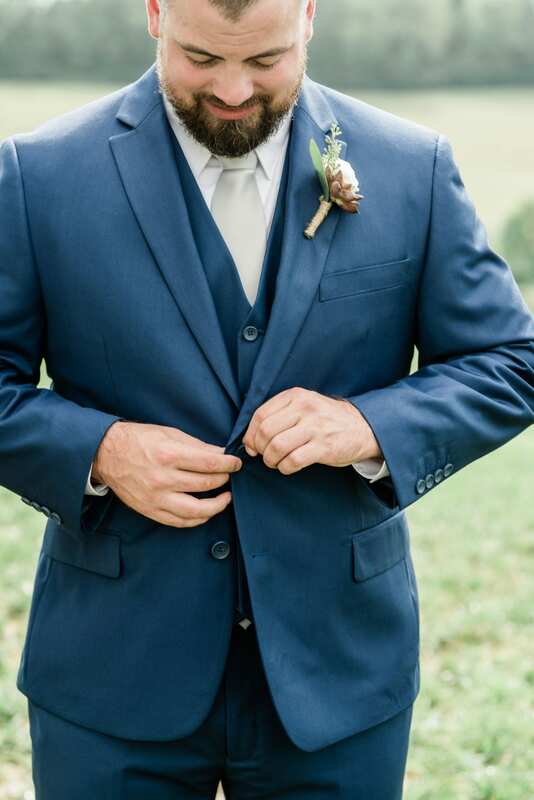 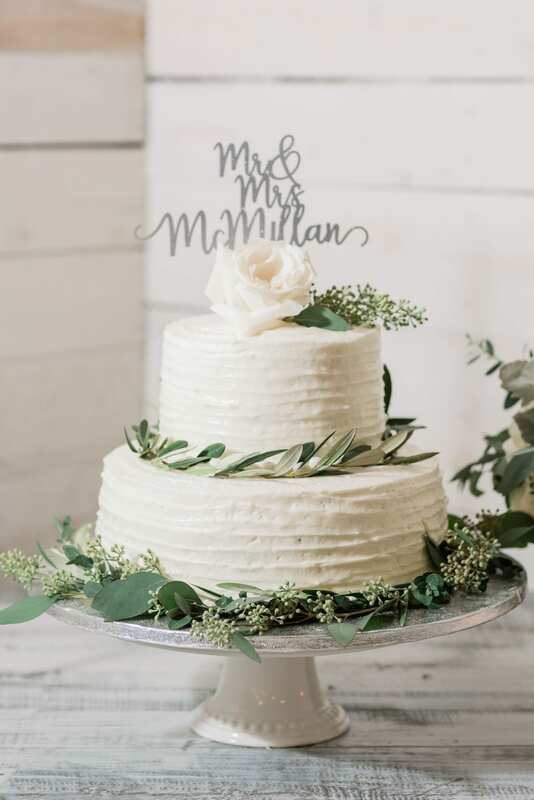 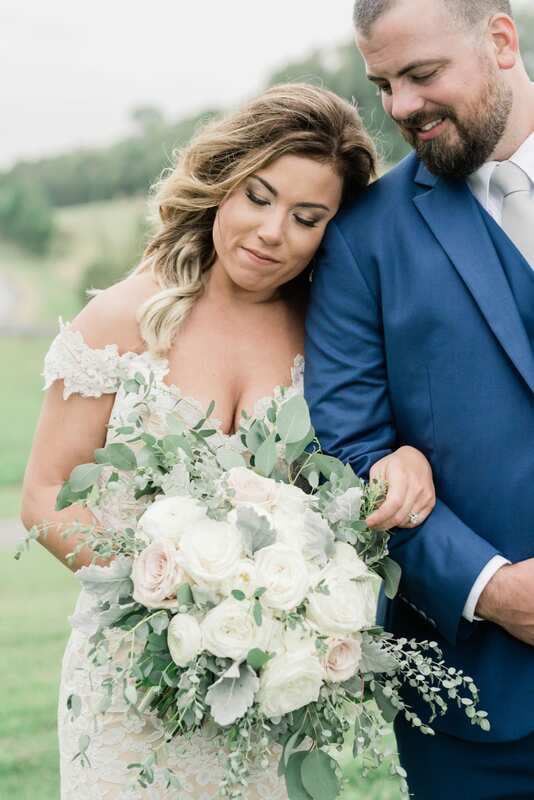 Thank you so much to the new Mr. and Mrs. McMillan for having Enchanted Florist at your wedding – it was such a wonderful day filled with so much love!